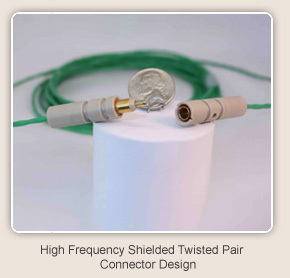 Another addition to our custom connector product options is shown at left. This customer required an environmentally sealed, easily accessible (for replacement) battery holder for a military vehicle. Our engineers utilized proven mil spec connector technology in combination with the commericially available (watch battery) holder the customer required and packaged the technologies together into a ruggedized product for use in the harshest environments. This design ensures the operator can replace the battery easily while keeping it protected inside a rugged housing. Consult FilConn for unique Coax/Triax/Twinax and Quadrax applications. These technologies can also be packaged in any of the mil-spec arrangement designations or for special needs we can design custom insert arrangements to meet a variety of requirements. 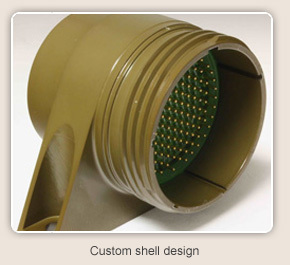 FilConn can offer custom shell designs as shown in the photo on the left. Our in house machine shop utilizes state of the art CNC technology and 3D CAD design tools to machine virtually any shell feature the customer requires. This in house ability also enables us to provide prototype parts in days not weeks or months as is usually the case in the connector industry. 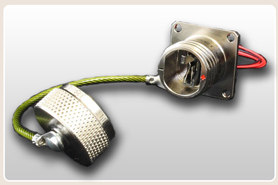 FilConn has provided many connector adapters to various military and commercial customers. 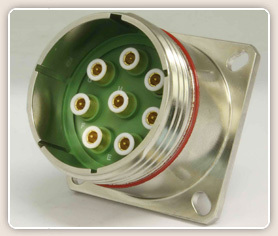 If your application requires the existing connector to be unchanged, FilConn can provide a connector adapter (Plug/Receptacle combination) which can be used in retrofit type applications. 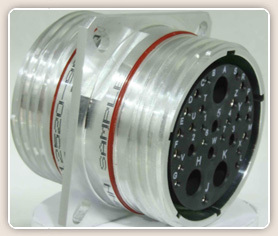 These adapters can be included with any of our filtering technologies. The product shown at left is an example of the marriage between our machine shop capabilities and our transient protection capabilities. The customer had a need for a hermetically sealed canister/connector assembly. 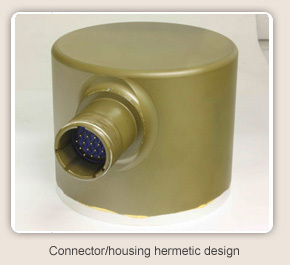 We met this need by providing a hermetic 38999 Series III connector with integrated TVS protection fused to a canister manufactured in our machine shop. The result is a complete hermetically sealed lightning protected product. 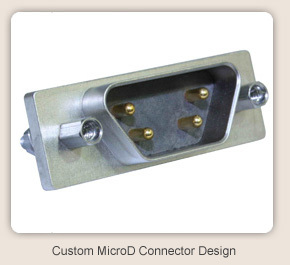 In addition to circular custom connectors, FilConn can also design custom micro-D (Mil-C-83513) connector packages. The connector on the left is an example of an 83513 derivative project. The customer had high current rating requirements which required larger contacts than allowed by the 83513 mil spec. The customer also had a tight space constraint which drove the design to a micro-D style connector. The resultant product was a compromise between the micro-D footprint and a custom interface design to address the current rating specification.